Patriarch Alexy II of Moscow and All Russia. Leningrad Mint and wearable Orthodox crosses. In 1990 I somehow got to know that "it was impossible to get a traditional next-to-skin Orthodox cross". I found out that the only city producing such crosses during the Soviet period was Riga. In the late 1980s and early 1990s the Soviet production nearly broke up as well as communication with the Baltics. It is what led to a gap. I rushed to the Gokhran (the State Precious Metals and Gems Repository) where I talked to Valentin Nikitin (first deputy director of Gokhran). He turned out a very sociable person. Valentin said, "Forget it. You won't be permitted to start any production of the kind unless Patriarch of Moscow and All Russia blesses you to". Then I made an appointment with my former university professor from MIPT Andrey Medvedev at his place. He liked the idea. So he phoned his old friend Nikolay Khrushkov right away. The latter had been working as Director General of Goznak (the banknote and security printer, producer of security paper and related products) for over twenty years and was freshly retired. Nikolay was a person of action and business. He contacted Yevgeniy Milovanov at once. 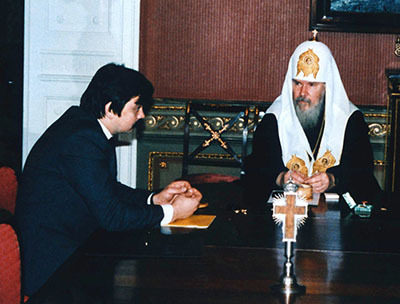 Yevgeniy was Deputy Minister in the Council for Religious Affairs attached to the USSR Council of Ministers. At the same time he served as KGB (the Committee for State Security) General. It was evident he was the very person in charge of the Russian Orthodox Church. So, four of us started a venture: Andrey Medvedev, Nikolay Khrushkov, Yevgeniy Milovanov and I. However, Andrey Medvedev left our business after a short while and there were three of us left. They were a great team – extremely vivid and interesting characters. 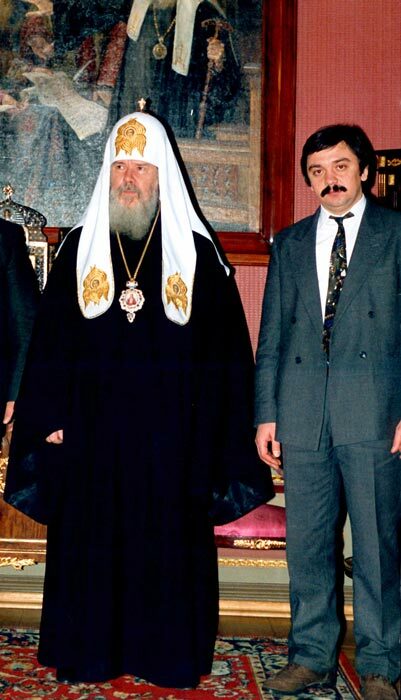 It didn't take Yevgeniy long to arrange my meeting with Patriarch Alexy II of All Russia. We met quite a few times, and Patriarch Alexy provided us with the required paper – His Greatest Blessing. Thanks to this paper, we were funded with a tonne of silver and a hundred kilograms of gold. 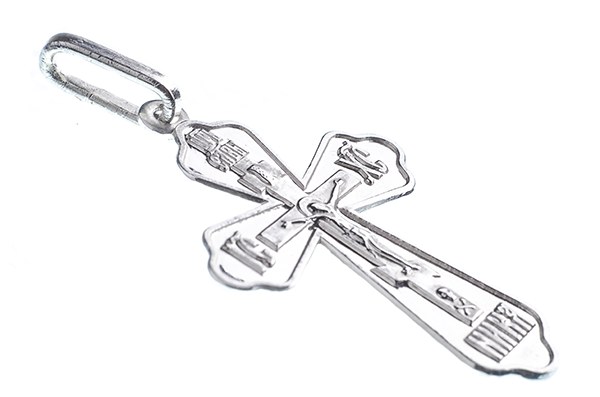 Nikolay Khrushkov started the production of wearable crosses at the Leningrad Mint (LMD). The crosses were of top quality. They were made using the same technology and equipment as in production of commemorative coins of precious metals (platinum, palladium, gold, silver). The business blueprint was quite simple. According to the funds we were budgeted with, the Gokhran used to deliver gold and silver to the Leningrad Mint where crosses were pressed and packed. After that I would get a call from the LMD providing me with details required for payment. I used to pay and take a night express to Leningrad on the same night. Sometimes I went there alone, sometimes accompanied by Yevgeniy, occasionally Nikolay joined us. We used to obtain the required papers and the goods and take them to Moscow in a normal hard sleeper compartment coach. Sometimes we did weekly, sometimes monthly (depending on the period). Later, former Alpha Group soldiers were involved in transportation of crosses (Boris Yeltsin almost abolished the KGB by that time and the guys were unemployed). We used to deliver the crosses to Glavyuvelirtorg (the Central Jewellery Trade Committee) and get paid for the goods delivered almost at once. In spite of high turnover and profit, it was the simplest business scheme in my life. And it was carried out based on the remains of the old USSR agencies. The most challenging part was drinking with old-school directors and top managers. On the other hand, it is where I've got the useful experience of pretending to be drinking. Anyway, the project was quite interesting. It gave me an opportunity to meet many interesting people as well as to understand the way the Patriarchate, multiple Soviet ministries and old-style Soviet management worked. By the way, I've still got about ten thousand silver crosses left. I don't think anyone makes crosses of such a high quality nowadays. You can still have chance to buy them on Ebay.com.